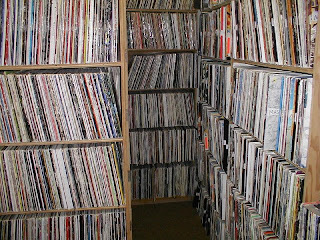 Is the guy who owns these records nuts or just really passionate about his music? You decide. Modern day is interesting. 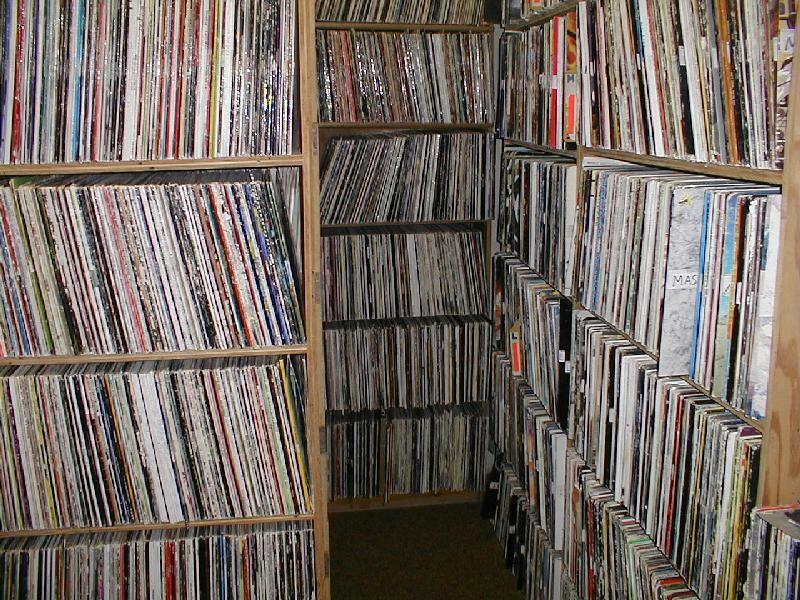 The local records stores we all know and love are rapidly disappearing due to lack of profit or they are being subsidized by bigger corporations that stock nothing but the typical shelf fodder. All that remains are chain stores that I would rather not step into to look for music. Thank god for Amazon and online distros. You would have to be living under a rock for the past decade to not understand why this is happening. The fact of the matter is records don't sell like they used to. People don't want a hard copy of their favorite music anymore. They would rather obtain it illegally, or pay for a digital file. Pay for a digital file, you say? Yes. Personally, I would never think about paying for a digital file as A) I like to have something tangible. It makes little sense to pay for music I can't touch, especially when a hard drive crash could potentially happen, wiping out my music collection. B) I want the best quality possible. I won't touch a MP3 with a 10 foot stick unless it's correctly encoded to a verified 320kbps. Go ahead, call me picky. With a CD, I can rip the albums to my computer in FLAC or Lossless and have CD quality audio at one click. Then I can take those files and convert them to 320kbps MP3s for my digital audio player. iTunes and similar places should be ashamed that they swindle people out of money for a lower quality recording. I suppose I'm not the poor sap paying for a digital file, though. It's true. I like having a massive album collection, whether it's composed of compact disks, vinyl, or cassettes. Heck, I'll even include 8-track. The feeling of standing in a room surrounded by music is a sensation unlike any other. I can't explain it, but when I walk into a room full of music, I get very excited. It isn't the same scrolling through a screen deciding what to listen to. It's sterile and it doesn't evoke any emotion from me. I like browsing shelves of music. Yes, I primarily listen to music off of my computer and digital audio player. Am I a hypocrite? Absolutely not. 99% of the music stored on my hard drive I own a physical copy of. The rest I got from a friend. I can certainly say that my experience isn't the same as putting a record on the turntable or popping a compact disk into a hi-fi CD player, but I have enhanced my computer-based setup quite a bit. I use audiophile grade headphones plugged into a tube amp which is routed to a great DAC plugged into my laptop. It's sterile picking the music, not listening to it. I tend to listen to music this way because it's convenient. In the end, I guess I have nostalgia for something I barely experienced. The digital file era has been upon us for quite a few years now and it isn't going anywhere. For the most part, I've lived in the age of internet where people feel entitled to have everything right at their finger tips. "Hey man, have you heard the new Iron Maiden album?" "Nope. Let me go download it really quickly." The picture in the post is amazing. Love it.